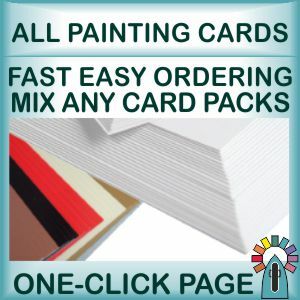 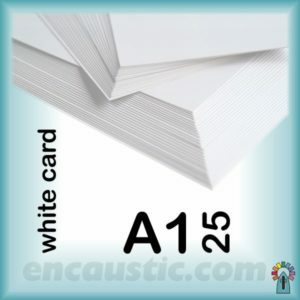 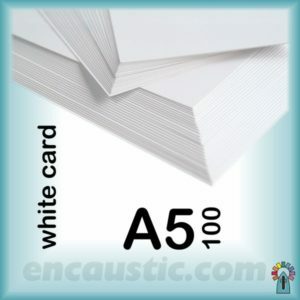 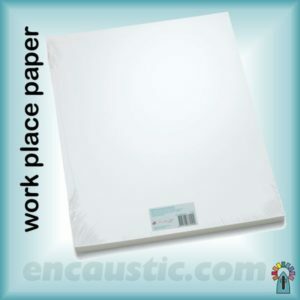 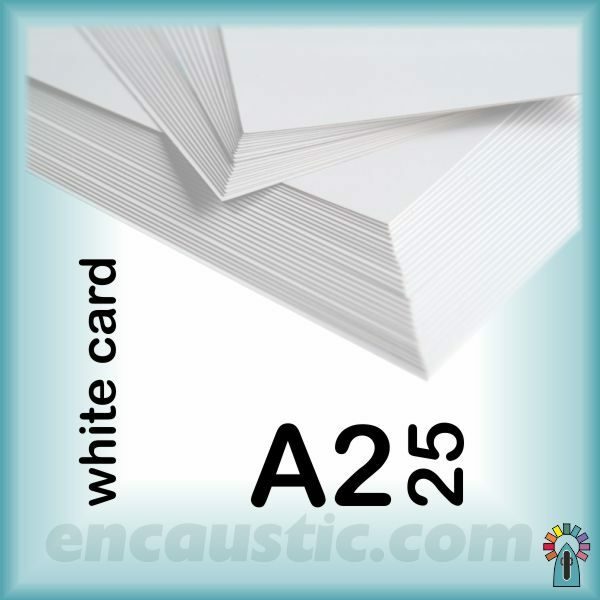 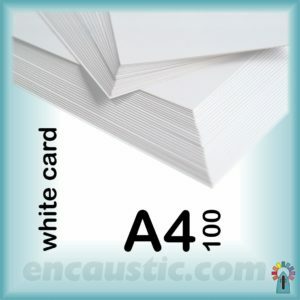 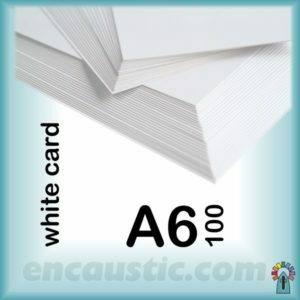 25 A2 sized cards 594mm (23″) x 420mm (16″) – packed rolled in a paper wrap. They are exactly twice the size of A3 cards. 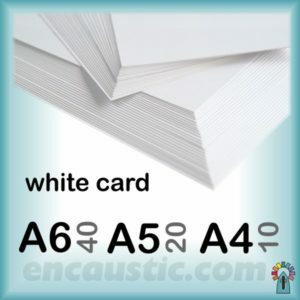 For long term care of artwork it is best to fix this card size to a rigid support, especially if using thick applications of wax.